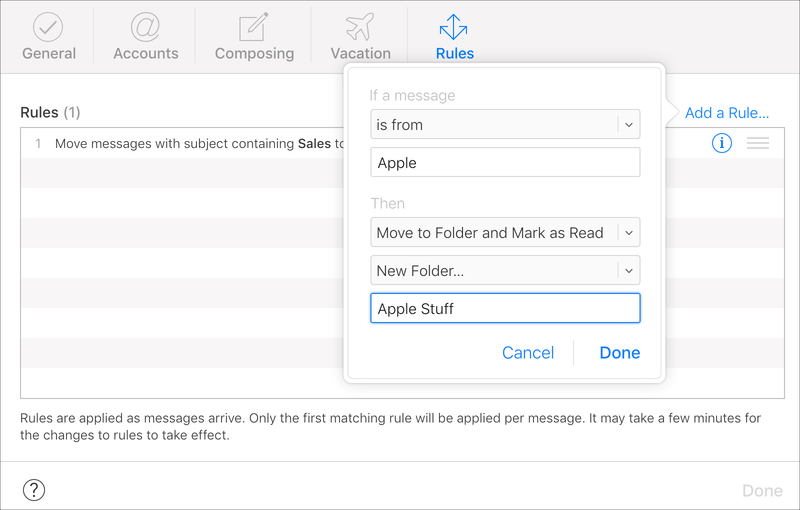 Just like you can set up rules on your Mac for the Mail app, you can do the same for iCloud.com Mail. You can move messages, mark them a certain way, or forward them automatically without even touching them. 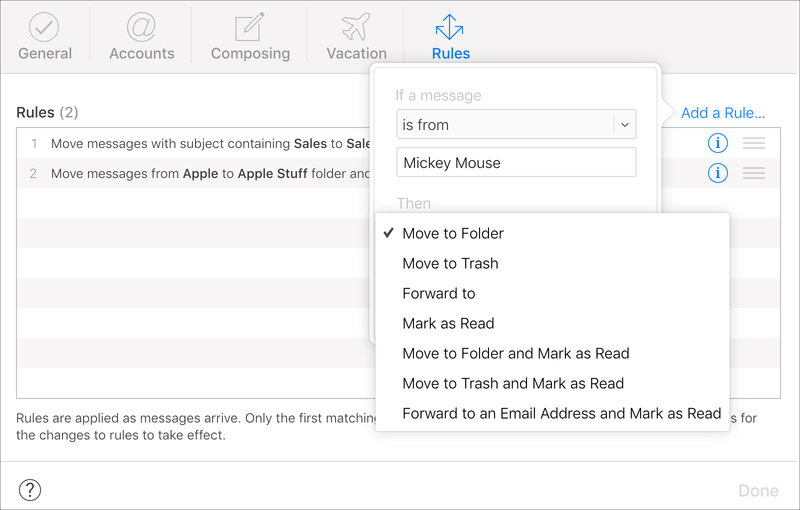 This is a terrific way to keep your inbox organized and find the emails you need much faster. 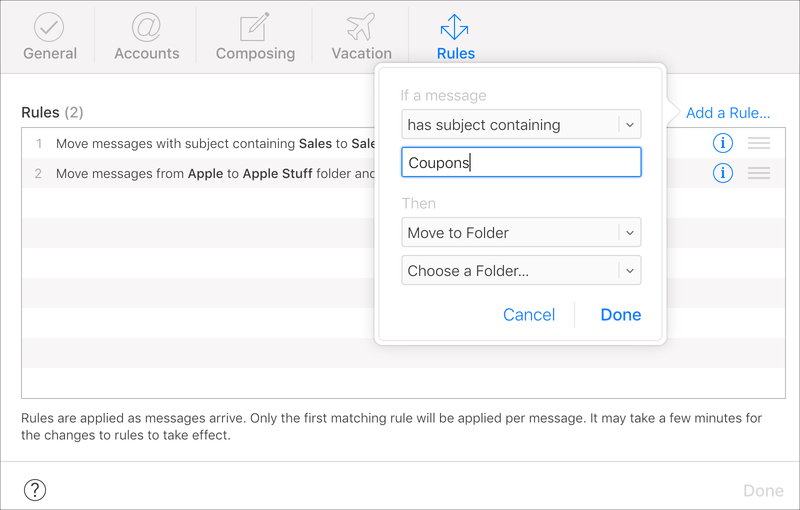 The rules for emails on iCloud.com may not be as flexible as those in Mac Mail, but they can still be quite helpful. 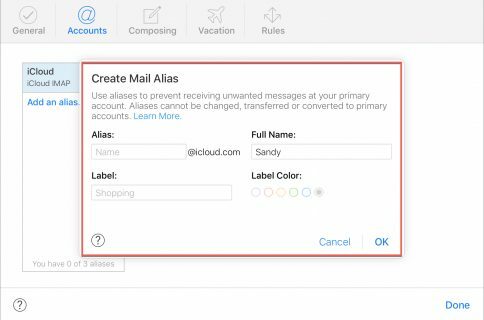 Here’s how to set up iCloud.com Mail rules for emails. 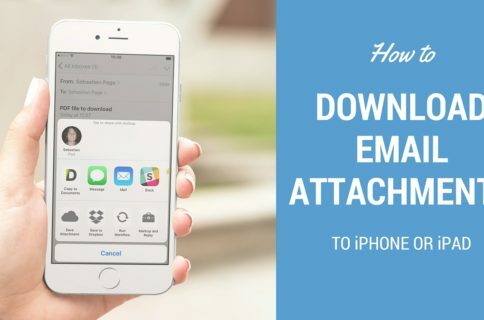 Head over to iCloud.com, sign into your account, and click Mail to get started. 1) Click the Show Actions Menu button (gear icon) on the bottom left and select Rules. 2) On the top right of the pop-up window, click Add a Rule. 3) Start at the top of the small box with If a message. Select an option from the drop-down box. 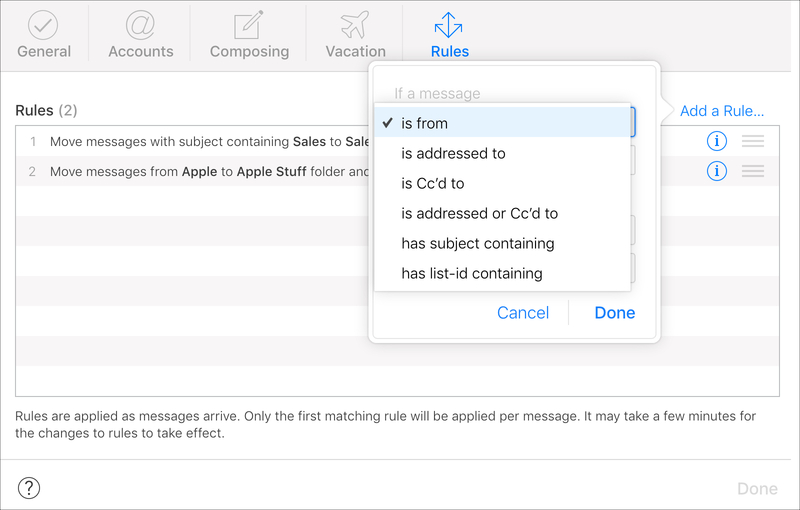 You can choose from conditions like if a message is from a certain sender or has a particular word in the subject. 4) Once you choose your condition, add what’s necessary in the text box below it. For instance, if you choose has subject containing, you would enter the word or phrase in the box you want the application to look for. 5) Now move onto the Then section. Select what you want to do with the message using the options in the first drop-down box. You can pick from things like, move to a folder, move to trash, or forward to another address. 6) Depending on what you choose for the Then option, complete the process by picking from the next drop-down box. For example, if you choose to move the messages to a folder, pick which folder in that box. 7) When you finish, click Done. You’ll then see your rule displayed in the list. If you’re finished setting up rules, click Done once more to close the Rules window. 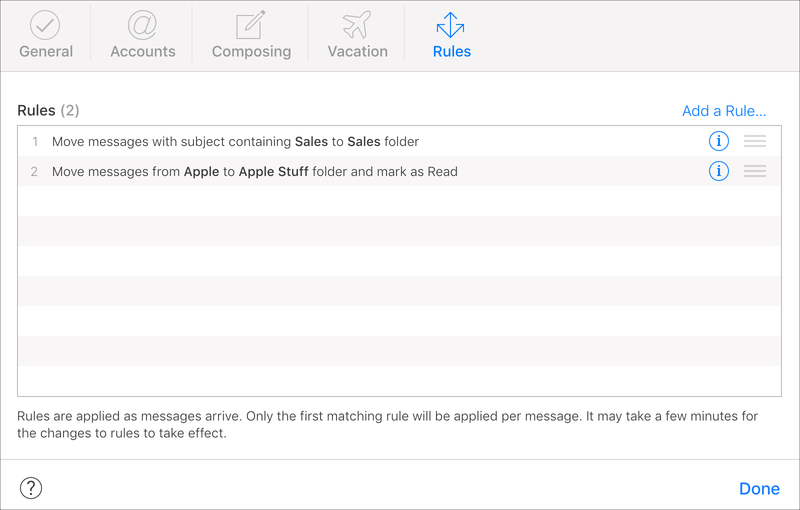 You can set up more than one rule for your iCloud.com Mail by following the same process. Just keep in mind that the first rule in your list that matches an incoming email will apply first. If you want to reorder your rules, just select one to move, grab the three-line icon on the right, and drag it to its new location in the list. If you want to edit or delete a rule later, click the Info button on the right. You can then make changes or delete the rule. If you have questions while setting up or managing your rules, you can click the Help button (question mark) on the bottom left of the Rules window. 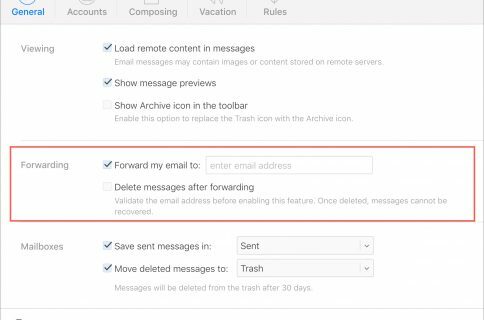 Setting up email rules is helpful and can save you time and energy managing your inbox. Plus, it lets you find the emails you need or want faster if they are marked a certain way or moved to a specific spot. 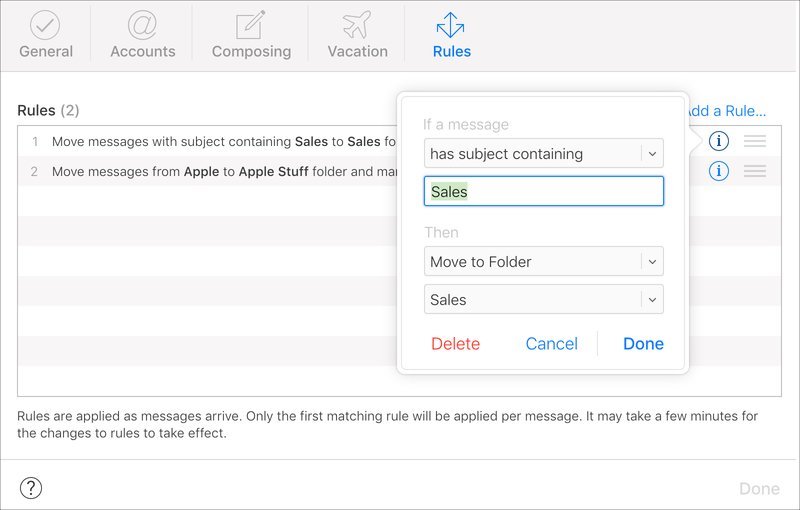 Do you find email rules helpful or are you just now going to set them up for your iCloud.com Mail? Let us know!